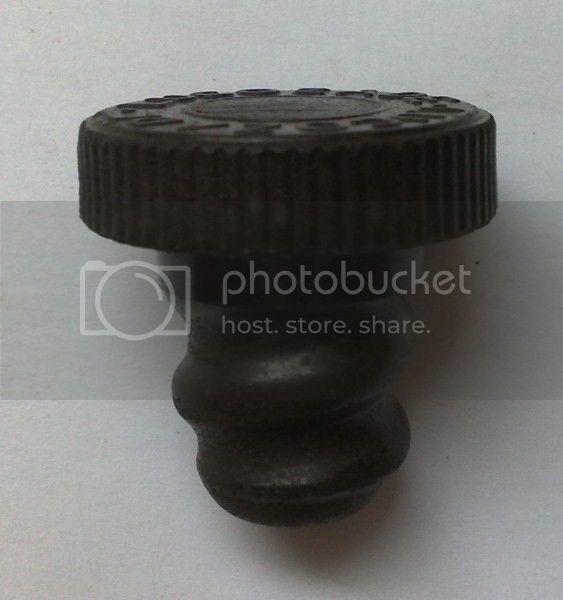 Not a bottle, but I found this cap today, of course I know what it is! But what's the age of it? & what's is made of? It looks like Bakalite to me. Measures 30mm (1.18 Inch) at the widest, 32mm (1.25 inch) long. I found it on a pathway on a local common. It was still screwed into the bottle, but unfortunately there was only about 2 inches of the neck left. As said above, stoppers were made of ebonite. although the last of them can be found made of plastic. Not a bottle old enough for mainstream collectors, although if it had the label, it has an interest in another theme. "Glucozade" was first manufactured in 1927 by William Owen, a chemist based at Barras Bridge, Newcastle who experimented for several years to provide a source of energy for those who were sick with common illnesses, like the common cold or influenza. It became available throughout Britain for use in hospitals under the name Glucozade. 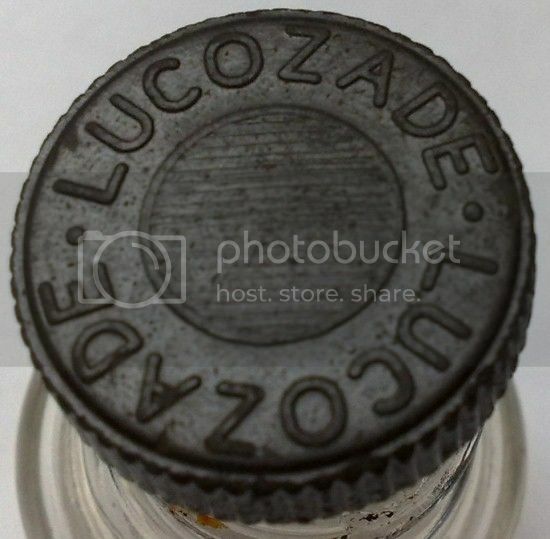 This was changed to Lucozade in 1929, and Beecham's acquired the product in 1938. By the early 1950s, Lucozade was the source of half of the company's profits. Lucozade has a research arm known as The Lucozade Sports Science Academy, which has been carrying out nutritional research for over 30 years[when?]. It works in partnership with leading universities, coaches, nutritionists, and sports professionals. Lucozade was sold in a glass bottle with a yellow Cellophane wrap until 1983, when Lucozade was rebranded as an energy drink to shift the brand's associations away from illness. The slogan "Lucozade aids recovery" was replaced by "Lucozade replaces lost energy". The glass bottle was replaced by a plastic (polyethylene terephthalate, PET) one. After the rebranding, between 1984 and 1989 UK sales tripled to almost £75 million. In 2013, Lucozade along with Ribena was put up for sale by its then owner, GlaxoSmithKline following several mergers. Sir Andrew Witty (Chief Executive of GlaxoSmithKline) said that "there has been a lot of interest for the two brands". Hi, Ive just found a full bottle of Lucozade with cork in top, whilst decorating our new house, Glass bottle with ripple type effect on top rather than dots. It says LUCOZADE round base of bottle too and label is "Lucozade " the sparkling glucose drink" maximum retail price 2'6 it . Any ideas what to do with it?